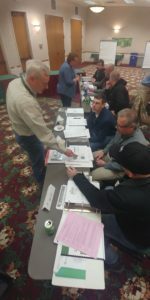 The second of three sessions for Wisconsin’s Community Tree Management Institute (CTMI) was held February 6-7, 2018 in Green Lake. 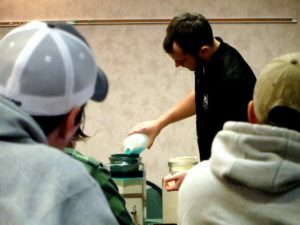 Through hands-on training and exercises, twenty-six students from across the state learned how to identify community forestry management needs and get the work done. Topics included: inventories, management plans, urban and community forestry operations (planting, pruning and removal), natural areas, tree biology, hardscape conflicts, soils, risk tree management and tree emergencies. Instructors for session II included: municipal forestry staff, university staff, consultants and DNR staff. The variety of instructors, their perspectives and interactive components are meant to appeal to all learning styles. The third sessions of CTMI will be held June 19-20, 2018 in Stevens Point. Students will spend time in the field identifying trees, insects and diseases. They will take a tour of the City of Stevens Point’s forestry operations and share the successes of their applied student projects. A formal graduation ceremony will honor the students’ commitment to improving the management of their community’s forest. Division of Forestry Leadership is planning on attending the graduation ceremony as well. For more information on CTMI, please visit this article.